Admittedly, we all have those days that are down in the dumps. I’ve had a day of prayer and contemplation, waiting to hear from my extended group of family and friends on the outcome of a bilateral, very urgent mastectomy of beloved friend, teacher, sister in Christ and mentor Rev. Dr. Mary Ann Hawkins for a cancerous mass. When I tell you that this woman inspires me to new heights and to be more authentic than ever before, I am hardly doing her teaching justice. As I sat here working on the novel, feeling to much energy and distraction, I remembered her advice before a test one day. She recommended that I take the outside building route to the front doors, including three flights of stairs and back a couple of times. “Just get up and move,” she advised. “You need to channel that energy”. Mary Ann has boundless energy, too. 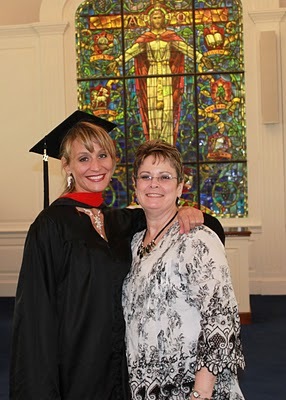 It’s Mary Ann who has nursed me lovingly and toughly through the hardest days of my life – Mary Ann that I grad-assisted for last semester – Mary Ann that inspires me to be a better, whole person. She’s this remarkable, truly decent human with a writing ability second to none. No matter your faith, Mary Ann probably knows enough to converse with you and respect your views and beliefs; it’s Mary Ann that got me to take the time to look beyond the church building to see the people of the universe. She’s had my back forever. I started to worry, but changed my state. How? 1.) I became amazingly grateful for this friendship and mentoring. I contemplated it, prayed over it and really appreciated the impact it’s had on my life. 2.) I got clear with how I feel. A little helpless, a little pissed that such a great person drew crappy circumstances. She was upbeat and positive. I adopted her upbeat and positive, lit prayer incense and made a healthy lunch. 3.) I moved to burn off stalled energy (worry). I have the video off you tube on the Journal site at All In and I played it as max volume and danced. I kick box in the carriage house, so there is that option….but for now, I’m singing at the top of my lungs and writing to you. My state? Well, I am on my tenth playing, so I’m getting a great workout. I’m just back from a pretty nasty muscle flair, so I’m taking it easy on weights or hitting things, lest the blinding pain decide to return. My state is receptive and grateful. The song is 4:06. It works to really get you focused on your goal. Mine for today? Just being in the present. My heart? Good. I am….unbroken. Grateful. Back to climbing the goal and rocking the world. I sent you the link in the hopes that if you’re having a day, you’ll hop out of your chair and shake a feather to “All In.” Life life like you mean it, and live out loud. Tomorrow, it’s off to Anderson to take a home made meal to her family and bring her flowers. 🙂 I am all in. ← What To Do When You’re Not Sure What To Do.